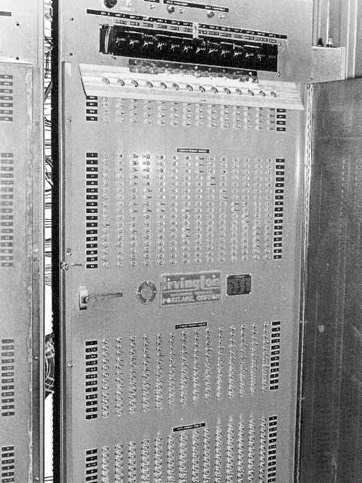 The panel where the board sorting patterns were programmed. Toggle switches were used to specify which grades and lengths should go into the bins. Rotating counter switches are above to set the piece count limits. These were fairly labor intensive to build because of the large number of switches that needed wiring.